Judith Brown’s Gandhi, Prisoner Of Hope published in 1989 amply reflects the decades of quality research that went into its production. 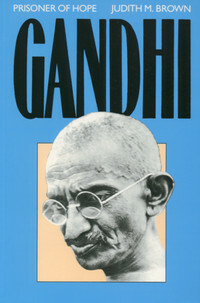 Brown elucidates Gandhi’s transition from being “a man of his time” to “a man for all times and all places” by his unswerving and whole-hearted submission to the idea of satyagraha or truth-force, most significantly reflected in the deep questions that he asked, many of which he himself did not find answers to. Brown’s biography breaks many a myth about Gandhi and encourages readers to evaluate his life and achievements for themselves, as they find access to Gandhi’s own voice, that of his contemporary’s opinions on him and even the attitudes of the Raj’s officials towards Gandhi. Brown does not praise Gandhi uncritically nor does she place him on a pedestal, above human beings and closer to the God that Gandhi so relied on. The beauty of her work lies in the way she discovers the mahatma in Gandhi, almost at the end of the book. In the epilogue Brown’s thesis comes to a full circle and she shows how Gandhi’s greatness, his well deserved praise, lay in being a flawed man but being courageous enough to correct those flaws. 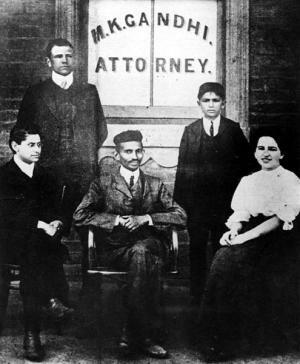 Gandhi, a frail man by stature, emerges in Brown’s works one of the strongest men in history. “God centered and man oriented,” Gandhi searched for “[H]im in humanity” and there lay his strength. 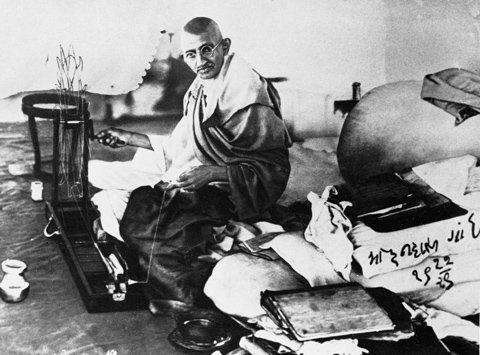 “Revolutionizing Revolutions: What Gandhi Taught Us About Political Defiance,” a History Day performance examining the connection between Gandhi’s methods of passive resistance and the Arab Spring.